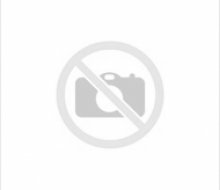 Hand sanitizer foam contains ingredients made from natural renewable resources and kills more than 99.99 percent of most common germs. 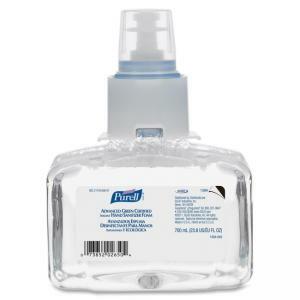 700 ml refill for PURELL LTX-7 Hands-free Soap Dispenser delights users while supporting a healthy environment. Green certified, patent-pending formulation meets EcoLogo hand sanitizer standard for environmental leadership and proven performance. 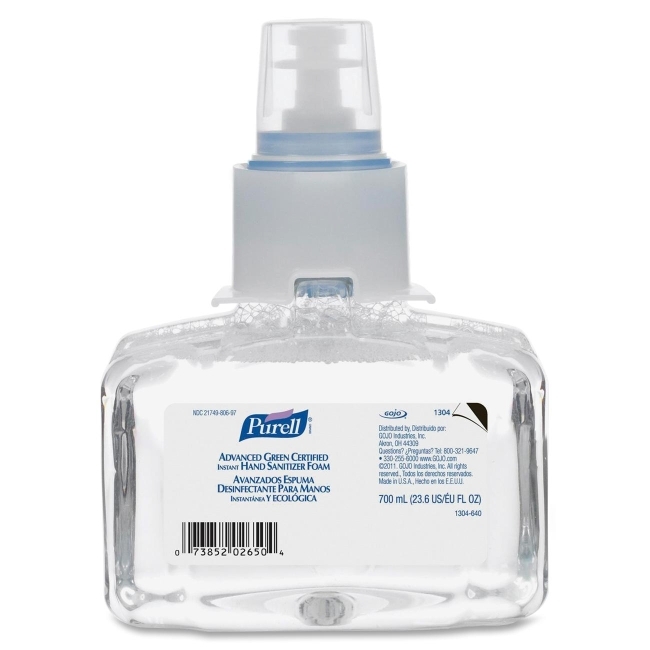 Hand sanitizer foam includes a nourishing blend of four skin conditioners and is clinically proven to help maintain skin health. Sanitary-sealed refill is made of durable, recyclable PET material, using 30 percent less plastic than rigid HDPE bottles. Crystal clarity offers visual appeal and easier monitoring of fill level. Refill includes a fresh dispensing valve, and the removable pump promotes easier recycling. Controlled-collapse refill hold its shape as it empties for a more attractive appearance.